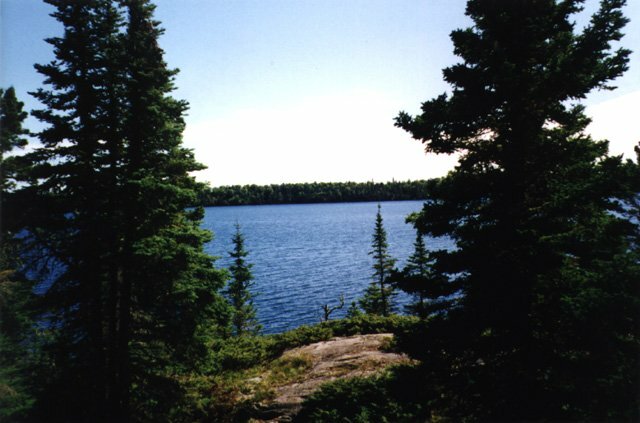 Isle Royale National Park is an island located in the northwestern part of Lake Superior, the northern-most of the Great Lakes. 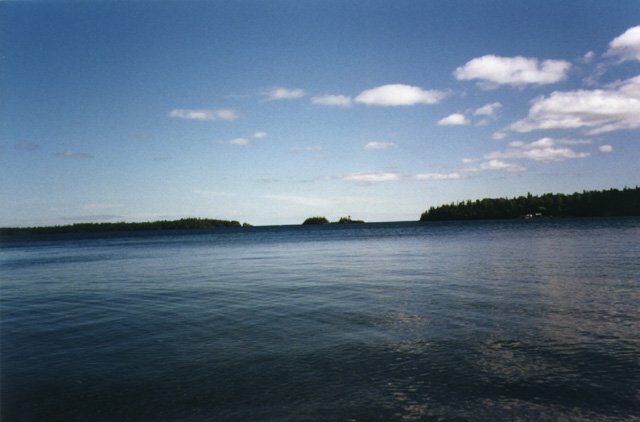 The Isle is about 45 miles long and 8.5 miles wide at it's widest point. It's also a true wilderness which are few and far between nowadays. There are no roads on the Island, but there are 165 miles of trails to follow. For more information on the Park, follow this link to a very well put-together site. 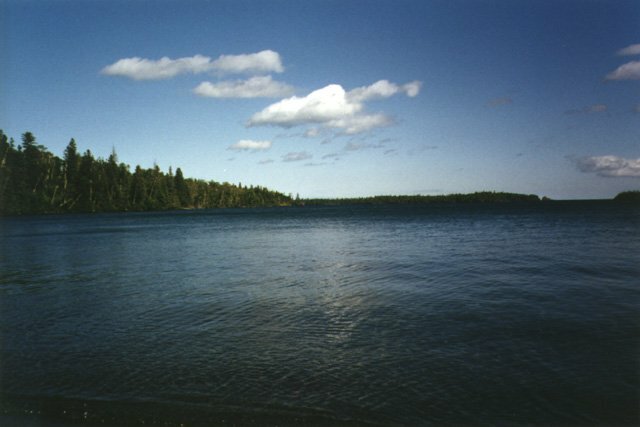 Also, if you are planning a trip to the Isle, you can't do without the book 'Isle Royale National Park: Foot Trails and Water Routes" by Jim DuFresne. 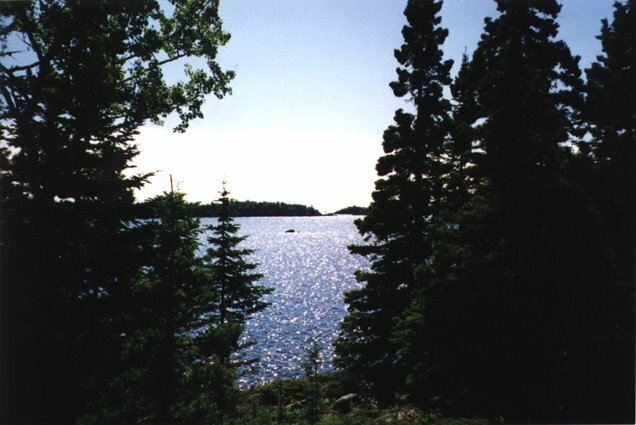 This was the view from our hotel in Copper Harbor. 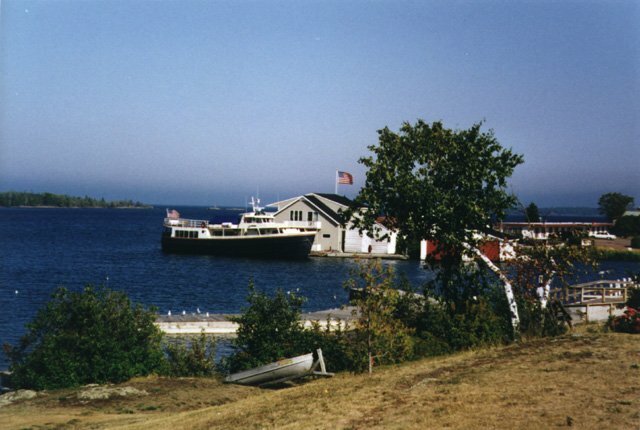 The boat is the Isle Royale Queen III, our ride to the Island. After a 4.5 hour boat ride, we arrive on the Isle and set off on the Rock Harbor Trail! 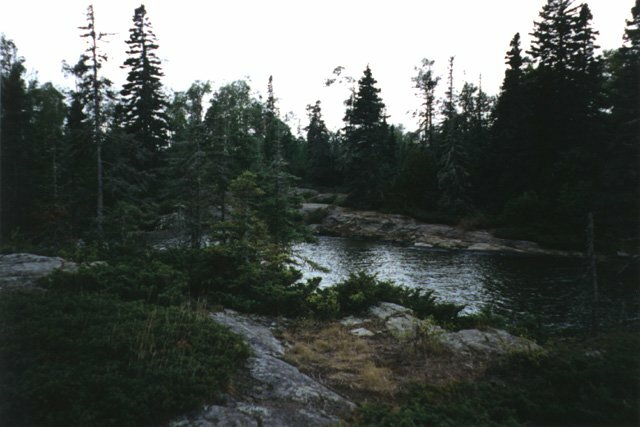 This is one of the views from along the trail. 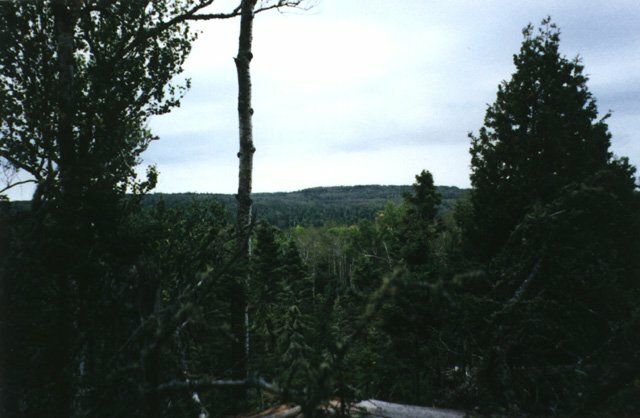 A view looking inland from a high point along the trail. The rugged beauty of the Isle. We spent the first night at Daisy Farm Campground. This is a view from the dock, looking back the way we came from. Another view across Rock Harbor from Daisy Farm. 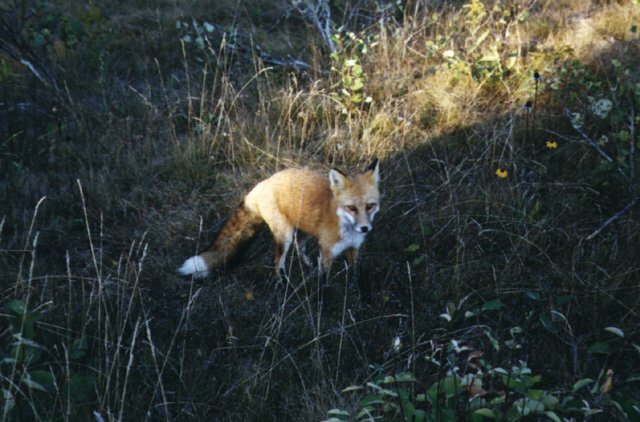 One of the camp foxes at Daisy Farm. 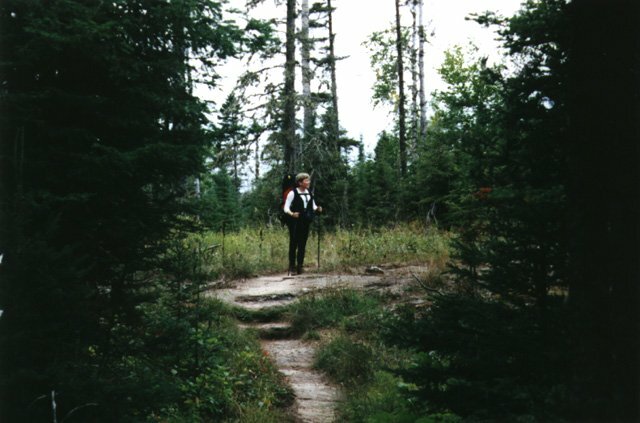 He met us on the trail in and then hung around the campground. Our first wildlife sighting!